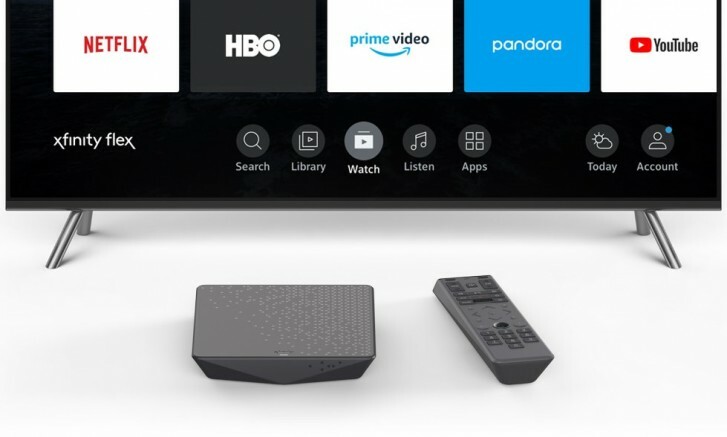 Streaming content is as popular as ever and the market is crowded with streaming device options from Roku, to Amazon’s Fire TV, Apple TV, Chromecast, Android TV… You get the picture. On Thursday, Comcast announced the Xfinity Flex streaming box. It’s powered by the same OS that runs on its Xfinity cable DVR boxes. Apple is set to announce its own video streaming service very soon and Xfinity wants to make sure that folks hear about the Flex before that happens. It’s a streaming box for those Xfinity Internet customers who don’t have set-top TV boxes. Unsurprisingly, being an Xfinity Internet subscriber is a requirement. Xfinity will loan you the Flex streaming device for $5/month with no upfront costs. While this seems like a good idea, how successful will it actually be? There are a plethora of 4K streaming devices under $100 that offer a great streaming experience with a remote. A perfect example of this is the Amazon Fire TV Stick 4K. Not only does it come with the Alexa voice-assistant built-into the remote, but it’s easy to travel with and costs only $50. Meanwhile, the Xfinity Flex costs $60/year to use and the other requirement for it is to use the Xfinity XFi Gateway, which costs an additional $10/month (or $120/year) to rent from Xfinity. You also need an internet-only plan above 25Mbps. We are having trouble understanding the benefits of an Xfinity Flex over a competing streaming device apart from access to Xfinity’s on-demand library – which usually comes bundled with lower-tiers of Xfinity Internet via a web login.